Kawashima Tatsuo - Born in Kyoto in 1939, Tatsuo Kawashima had an early interest in the woodblock print tradition, and apprenticed and worked at Uchida Art in Kyoto as a carver and printer. 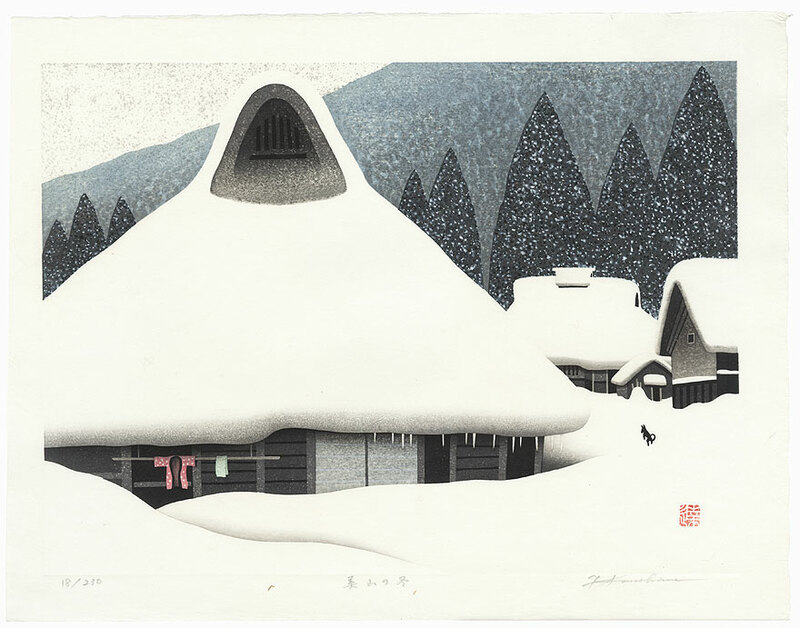 In the 1960s, he began to experiment with designs for his own woodblock prints in a contemporary style. 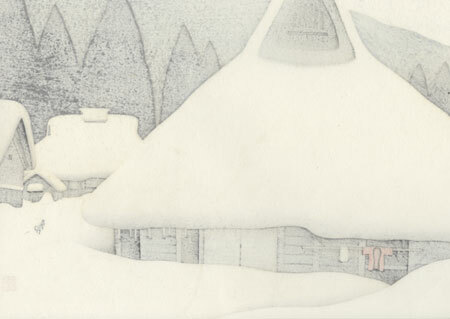 In 1980, he released some of his first popular designs in a larger format, drawing his subject matter from the countryside around his hometown of Kyoto. 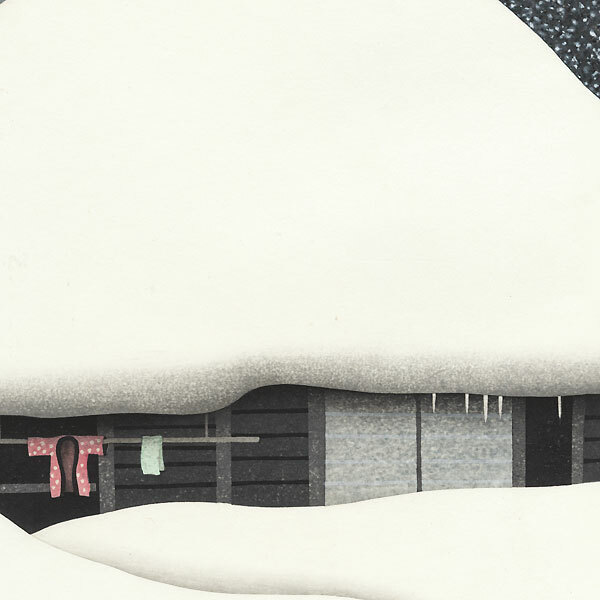 Kawashima's lovely, evocative designs feature quiet scenes, beautifully composed and softly shaded. His limited edition works are signed, titled in Japanese, and numbered in pencil, with typical edition sizes of 230 prints. About ten years ago, Kawashima retired and is no longer producing woodblock prints, so his works are rarely seen in the market. These are wonderful images to collect or display, and a great choice for a collector interested in contemporary Japanese woodblock prints. This is a very nice early print in the edition, 18/230. Condition - This print with excellent color and detail as shown. Faint smudge. Please see photos for details. Nice overall.